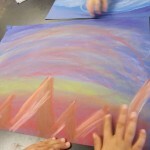 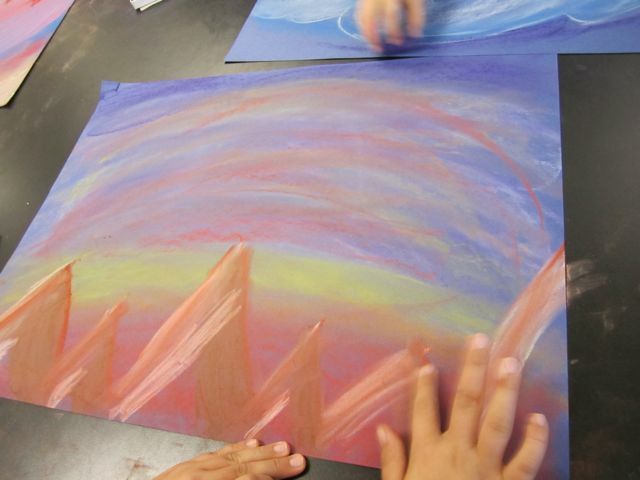 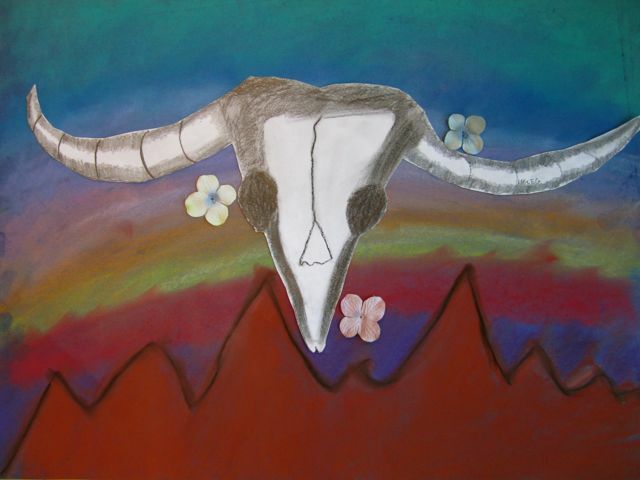 Fifth Grade artists have been learning about the American artist Georgia O’Keeffe, who was known for her large flower paintings. 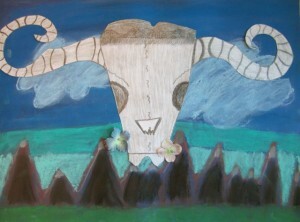 This year we focused on her beautiful desert paintings that included bleached cow skulls. 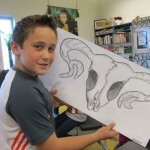 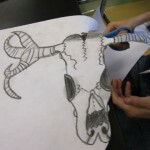 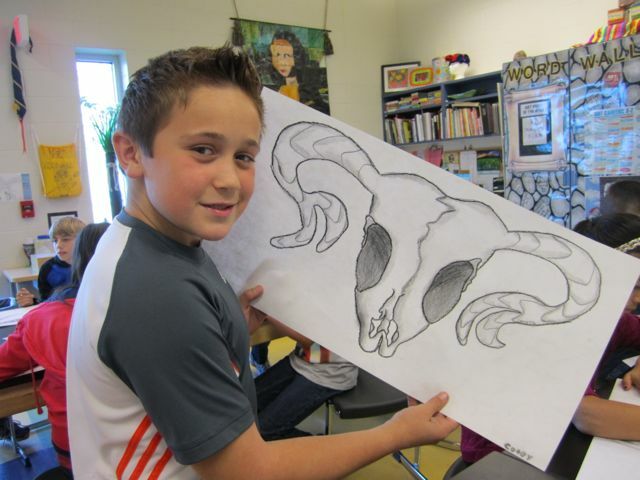 Just like O’Keeffe, my 5th graders were intrigued to discover the beauty and life in the bleached bones. 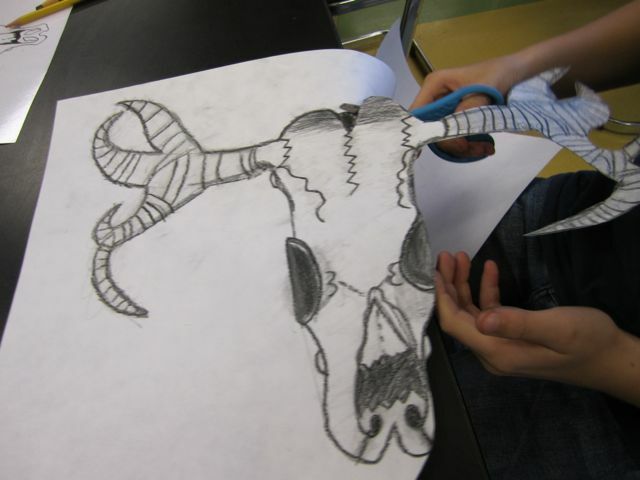 I was surprised to learn that many of my students collect deer skulls and the bleached bones of smaller critters; several students brought in bones from their collections to share with their classmates. 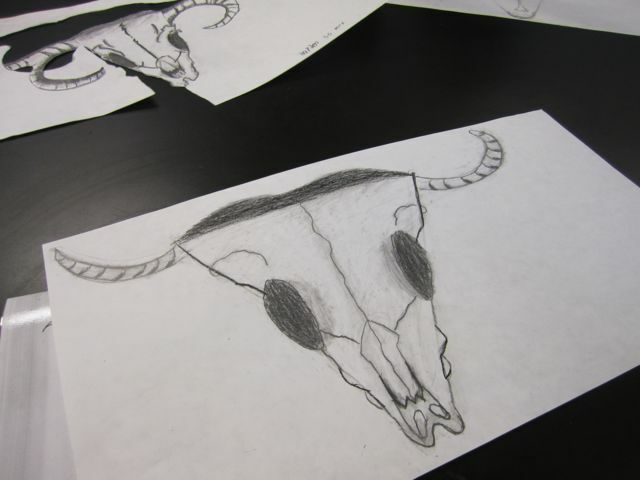 Our study inspired these beautiful creations – skulls carefully drawn in pencil, gorgeous chalk landscapes, and carefully placed silk flowers to finish the “Georgia Project”. 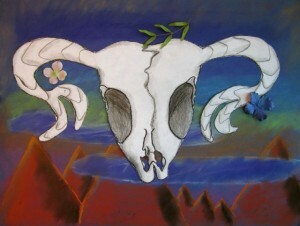 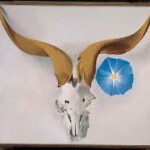 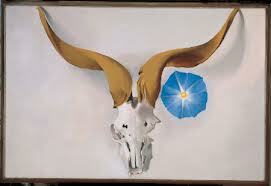 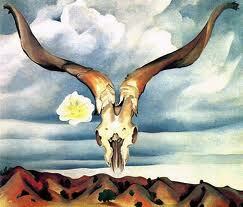 O’Keeffe skull paintings – our inspiration! 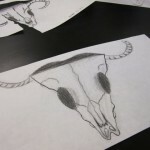 We began with these beautiful pencil drawings. 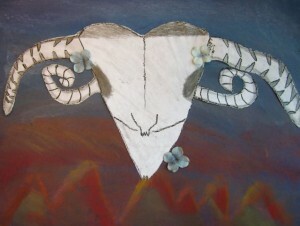 Putting it all together – with carefully placed flowers. 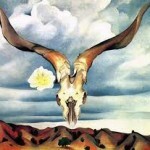 Visit the Georgia O’Keeffe Museum to learn more about O’Keeffe!